On December 7, 1869, 22-year-old Jesse James robbed the Daviess County Savings Association Bank in Gallatin, Missouri, and killed the cashier. The crime, while far from James’ first act of violence, led him to be labeled an outlaw for the first time in newspapers and prompted the state’s governor to offer rewards for the capture of James and his older brother, Frank, who was believed to have taken part in the holdup. 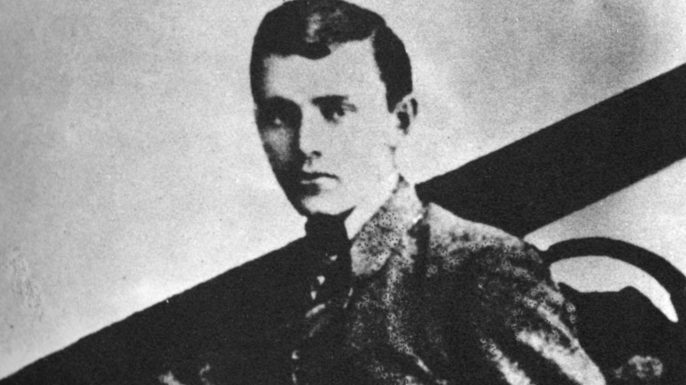 Over the next dozen years, until his death in 1882, Jesse James would become one of America’s most famous bandits, sticking up banks, stage coaches, and trains. Check out seven fascinating facts about the legendary lawbreaker. 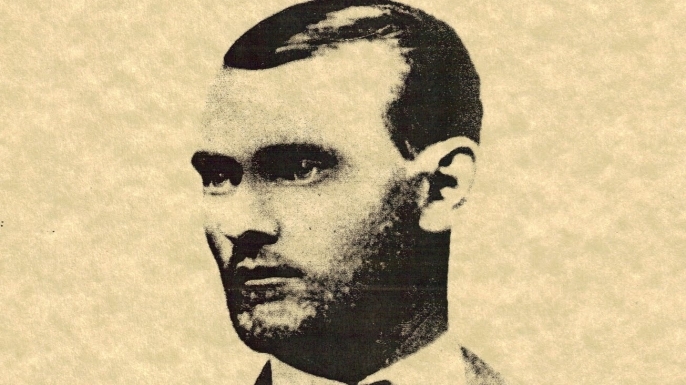 Born in Clay County, Missouri, on September 5, 1847, Jesse Woodson James was the son of Kentucky native Zerelda Cole James and her husband, Robert James, a Baptist minister and slave-owning hemp farmer who assisted in founding William Jewell College in Liberty, Missouri. In 1850, Robert James traveled to California to preach in the gold mining camps; however, not long after arriving he became sick and died. Zerelda and her children—Jesse, his brother and future partner-in-crime, Frank, and younger sister, Susan—were plunged into perilous financial straits. In 1852, Zerelda married a wealthy, older man and moved in with him, but he disliked the James children, so they were made to live with another family. Zerelda soon left the marriage and returned to her first husband’s farm with her children. When she wed for the third time, in 1855, her husband, with whom she would have four more children, moved onto the farm. After Frank and Jesse grew up to become outlaws, Zerelda, who was known as iron-willed, remained their staunch supporter. He was a Confederate guerilla in the U.S. Civil War. During the Civil War, Missouri, a border state, was home to guerilla fighting initiated by forces on both sides of the conflict. Frank James fought with the pro-secession Missouri State Guard at the start of the war then joined a band of Confederate guerillas, also known as bushwhackers, who carried out attacks against Union sympathizers in the region. In May 1863, while at his family’s farm, a teenage Jesse was ambushed and his stepfather hung from a tree (he survived) by Union militiamen seeking the whereabouts of Frank and his fellow insurgents. That August, Frank took part in a raid spearheaded by guerilla leader William Quantrill on the abolitionist town of Lawrence, Kansas, during which some 200 men and boys were killed, and numerous buildings were destroyed. By age 16, Jesse followed in Frank’s footsteps and became a marauding bushwhacker. He and his brother joined a gang led by William “Bloody Bill” Anderson and participated in some violent incidents, including a September 1864 raid on Centralia, Missouri. In that raid, at least, 20 unarmed Union soldiers were forced from a train and executed by the guerrillas, who then slaughtered more than 100 federal troops trying to hunt them down. The guerillas viciously mutilated many of their victims’ corpses. In May 1865, a month after Confederate General Robert E. Lee’s surrender at Appomattox Court House, Jesse was shot in the chest during a skirmish with Union troops near Lexington, Missouri. After being nursed back to health by his cousin Zerelda “Zee” Mimms (whom he would wed in 1874 and later have two children), Jesse eventually banded with his brother and other former Confederate guerillas to rob banks, stagecoaches, and trains. James wasn’t a Wild West Robin Hood. During the 1869 bank robbery in Gallatin, the incident that first brought Jesse public notice as an outlaw, he shot and killed the bank’s cashier in an act of revenge, thinking the man was Samuel Cox, commander of the pro-Union militia troops who had murdered guerilla leader Bloody Bill Anderson in October 1864. (In fact, the slain cashier turned out not to be Cox.) After the deadly heist, an influential pro-Confederate newspaper editor in Missouri, John Newman Edwards, befriended Jesse and went on to promote the former bushwhacker as a hero and defiant Southern patriot of the Reconstruction era. James himself wrote letters to newspapers in which he defended his actions. Through his articles and editorials, Edwards was responsible for helping to create the image of Jesse James as a Robin Hood figure who robbed the rich to give to the poor, an image that historians say is a myth. James and his cohorts eluded the Pinkertons. After Jesse and Frank had robbed a train at Gads Hill, Missouri, in January 1874, the Pinkerton’s National Detective Agency was called in to hunt them down. Founded in Chicago in 1850 by Allan Pinkerton, a Scottish immigrant who had served as the first full-time detective on the Windy City’s police force, the private agency was experienced in capturing train robbers. On March 1874, after the agency took on the case of the James gang, a Pinkerton detective searching for Jesse and Frank in Missouri wound up dead, while a Pinkerton agent who pursued the brothers’ fellow gang members Cole and Robert Younger in another part of the state also was killed. 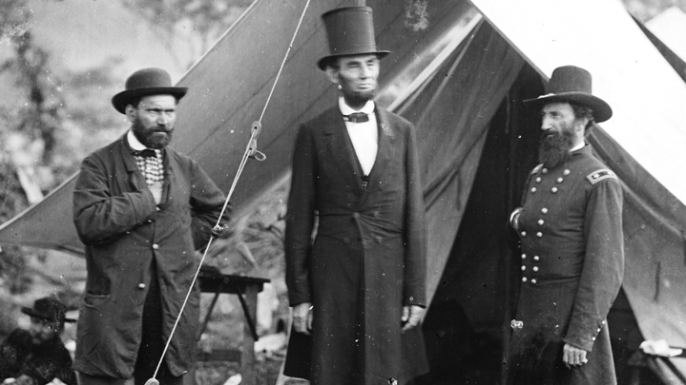 Catching the James brothers became a personal mission for Allan Pinkerton, an abolitionist who had aided slaves on the Underground Railroad, uncovered a plot to assassinate President-elect Abraham Lincoln and gathered military intelligence for the federal government during the Civil War. Shortly after midnight on January 25, 1875, a group of Pinkerton agents, acting on a tip that Jesse and Frank were on their mother’s farm (in fact, they were no longer there) carried out a raid on the place. The agents threw an incendiary device into the farmhouse, setting off an explosion that fatally wounded Jesse and Frank’s 8-year-old half-brother and caused their mother, Zerelda, to lose part of her arm. Following the raid, public support for Jesse and Frank increased, and the Missouri state legislature even came close to passing a bill offering the men amnesty. The James brothers also launched an intimidation campaign against their perceived enemies near Zelda's farm and in April of that year one of their mother’s neighbors, a former Union militiaman who had assisted the Pinkerton agents in preparing for the raid, was shot to death. Allan Pinkerton never pursued his hunt for Jesse and Frank any further. His gang was defeated trying to rob a Minnesota bank. On the afternoon of September 7, 1876, Jesse and Frank James, along with Cole, Jim and Robert Younger and three other associates, tried to rob the First National Bank of Northfield, Minnesota. The gang targeted the bank after learning that Adelbert Ames, a former Union general and the Republican governor of Reconstruction-era Mississippi, had recently moved to Northfield. Ames, along with his father-in-law Benjamin Butler, also a former Union general and Radical Republican politician, was rumored to have deposited $75,000 in the bank. During the attempted robbery, three members of the gang went inside and demanded the cashier open the safe, but he refused. Meanwhile, after townspeople outside got the wind that a holdup was taking place, they engaged in a shootout with the gang members who’d been stationed on the street. In the end, the bank cashier was killed by the outlaws as was a passerby, while two bandits were shot to death by townsfolk before the rest of the gang fled. Two weeks later, following a gunfight near Madelia, Minnesota, the Younger brothers were captured, and another gang member was killed. (Afterward, the Youngers were sentenced to life in prison; Robert Younger died behind bars in 1889, while his siblings were paroled in 1901.) 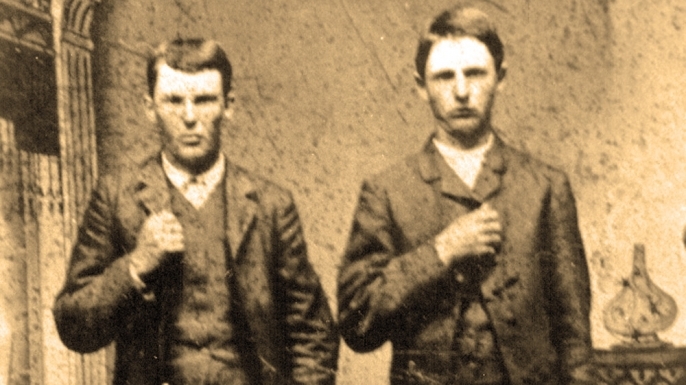 The James brothers, who had split off from the Youngers before the Madelia gunfight and were the only gang members not caught or killed following the failed robbery, laid low for the next few years, living in Tennessee under assumed names. However, in 1879, Jesse recruited a new set of criminal associates and embarked on a fresh crime spree. James was murdered at 34. Rather than dying in a hail of gunfire while robbing a bank or train, the legendary Jesse James was brought down while dusting a picture on the wall of his rented home in St. Joseph, Missouri, on April 3, 1882. His wife and two children were in another room at the time. James’ assassin, who shot him in the back of the head, was Bob Ford, a recruit into his gang. Also in on the shooting was Bob’s older brother Charley, a James, gang member. Earlier that year, Bob Ford had arranged with the governor of Missouri to take down Jesse in exchange for a reward. After the Fords had announced to authorities they’d killed the infamous outlaw, they were convicted of murder and sentenced to hang; however, the governor quickly pardoned them. The public was transfixed by James’ murder and the Fords soon began reenacting the event in a traveling show. Charley Ford committed suicide in 1884 while Bob Ford was shot to death in 1894 in a Creede, Colorado, saloon. Following James’ passing, there was lingering speculation he’d faked his death, and someone else was buried in his grave. 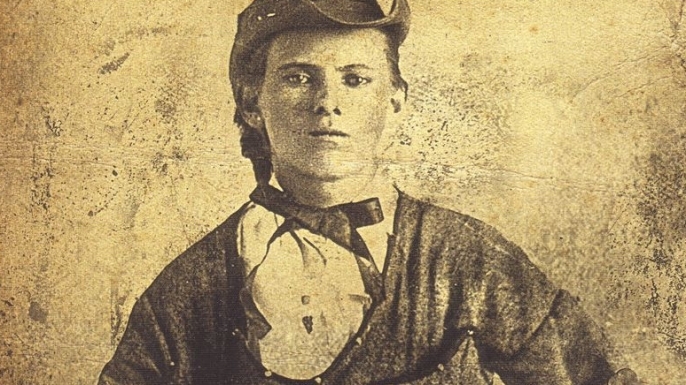 Over the years, several different men claimed to be Jesse James. In 1995, scientists seeking to resolve the question of who was buried in James’ grave exhumed his supposed remains from Mt. 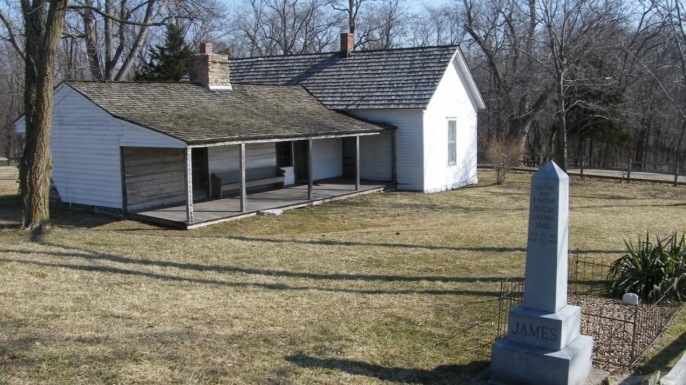 Olivet Cemetery in Kearney, Missouri; the remains had been transferred there in 1902 from the original burial site on the James family farm. After conducting DNA testing, the researchers concluded the exhumed remains were almost certainly those of the 19th-century outlaw.